Granted, not everything is in our favor. For example, the food industry isn't exactly going out of its way to make food healthier, with a recent study showing a sharp multi-decadal increase in fast food portion size, caloric load, and macronutrients (read: bad things). 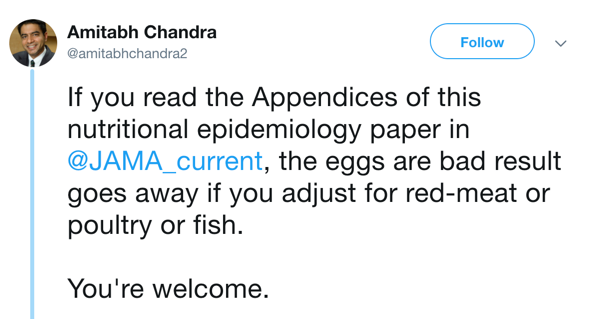 And we are no better than ever at detecting causality when something seems (wrongly) to be good for us (the case of multivitamins), or seems (wrongly) to be bad for us (the case of eggs), or even at figuring out whether data on the topic is fraught, useful, or just a mess. Part of the problem, yes, is innumeracy, an inability to think critically about arguments or to understand risks in a practical sense. And, yes, there is some truth to the Rosling/Pinker argument that the world is getting better, and we just aren't paying proper attention to the right graphs. But that's sort of beside the point. It's not merely that we don't notice, it's that we choose not to care given our worries, however unfounded. You can see this in the latest DSM manual, the fifth edition, where the fastest-growing section is on somatic disorders. 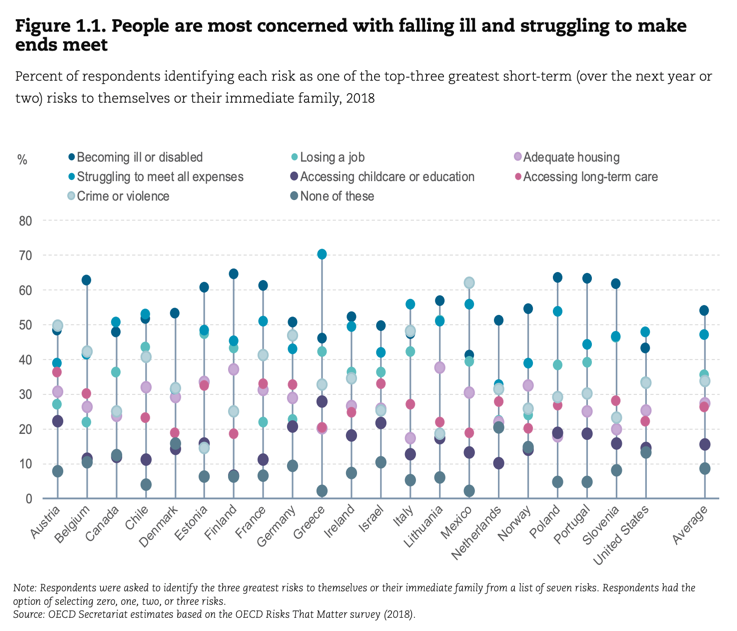 These are things that we worry about, but for which there is no clinical data showing actual illness. We are, increasingly, to use a favorite medical phrase, the "worried well": healthy people who worry about being ill because being ill is the thing we are most worried about, given the steady disappearance of other things to worry about, whether descending deities, predators outside the cave, or imminent economic collapse. Instead, we worry about that pain behind the left eye, the troubling feeling in your stomach, your inability to sleep the way you once did, and so on. It doesn't help, of course, that we are overwhelmed with data on all the ways we aren't living in the healthiest possible ways. And even that data is highly fraught, as the huge Apple Heart Study just showed, with uncertain benefits and unknowable costs. People's bodies, if observed over a long enough timeframe, will almost always do something weird, but nothing that can't be made worse by a quick trip to the ER. A similar situation applies in almost everything we are busily instrumenting, from weight to sleep patterns: we creating new cohorts of somatic symptom sufferers. You can see echoes of this in Derek Thompson's excellent recent Atlantic essay on how "work-ism" is making Americans miserable. Having increasingly replaced religiosity with economics-osity, Americans are finding that this new system is even less satisfying. Rather than delivering transcendence, as promised, people are growing disillusioned and sad, even in Silicon Valley. We worry because we are struggling with what to worship. As David Foster Wallace said in his "This is Water" speech years ago, worship power, and you become fearful; worship your body and health, and you always feel ugly and unhealthy. Or, at the very least, as Wallace writes, "... you will die a million deaths before they finally plant you". People who sit around with nothing to worry about, simply worry about different things, and do it more intensely, and more dangerously.